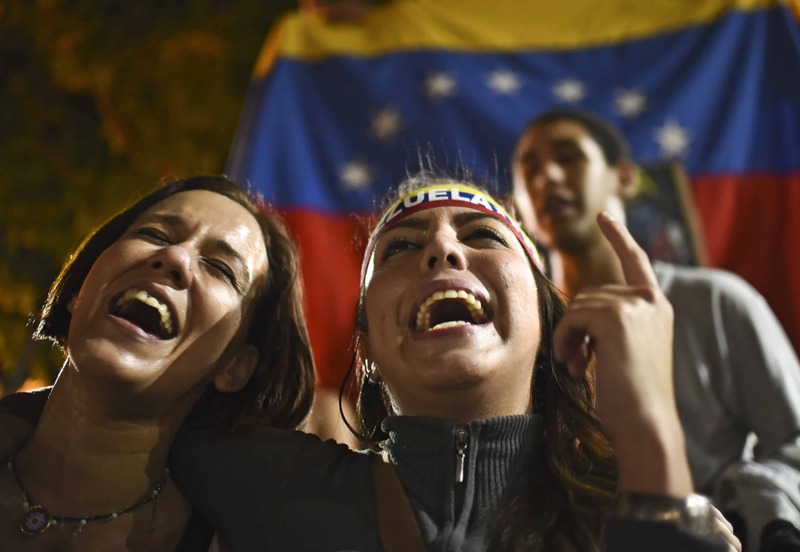 CARACAS, Venezuela — Venezuela’s highest court on Wednesday effectively blocked the two-thirds majority that the opposition won in this month’s landmark legislative elections by suspending the inauguration of three incoming lawmakers. The country’s opposition, however, defiantly insisted its legislators will all present themselves to be sworn in on Jan. 5, setting the stage for a tense political standoff. “With the strength of the Constitution, with the strength of the law and the strength of the people, the 112 MUD lawmakers will be sworn in,” the Democratic Unity Roundtable (MUD) coalition declared, in a statement. 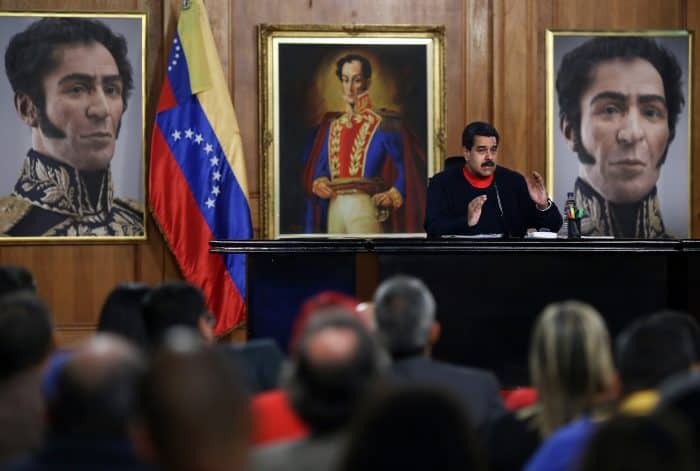 It was released shortly after the Supreme Court of Justice granted a request from embattled President Nicolas Maduro’s party to stop the three incoming National Assembly members from taking office Tuesday, pending a legal challenge against alleged vote irregularities. The decision leaves the opposition with a still-powerful three-fifths majority, enabling it to remove cabinet ministers from their posts, among other powers. But it removes, at least temporarily, some powers Maduro’s opponents would have had, including the ability to put legislation to a referendum and to call an assembly to draft a new constitution. Observers have speculated that the opposition could have used those powers to seek to force Maduro from power before the end of his term in 2019. The opposition won 112 of 167 seats in the Dec. 6 elections, a dramatic blow to Maduro and to the “revolution” launched in 1999 by his late predecessor Hugo Chavez. Maduro’s United Socialist Party of Venezuela (PSUV) filed court challenges contesting the election of nine lawmakers. The court did not grant the ruling party’s petitions to suspend the inauguration of the other six lawmakers. One PSUV lawmaker from Amazonas also had his inauguration suspended, as the suit challenges the vote for the entire state. The court must now hear arguments in the case, for which there is no timetable. If it rules the elections were fraudulent, they will have to be held again in the districts involved. Before the court’s decision, the opposition had denounced the PSUV’s court challenge as a “judicial coup” and asked the international community to stop it. In an open letter to U.N. Secretary General Ban Ki-moon and senior international officials, the MUD condemned the legal threat to its two-thirds majority. “The country, the region and the world are facing a procedural coup attempt against the Venezuelan people’s decision,” MUD executive secretary Jesús Torrealba wrote. The letter was also addressed to European Union foreign affairs chief Federica Mogherini and senior officials of the Organization of American States, the Union of South American Nations and regional bloc MERCOSUR. Political analysts warn of a tough political struggle ahead for oil-rich but deeply troubled Venezuela, which is mired in recession and facing a potentially chaotic period of divided government. Maduro alleged Tuesday that the vote was marred by fraud. “Criminals were buying votes … There was a plan,” he said on state TV, adding that authorities were investigating. The Supreme Court of Justice is itself at the center of a political firestorm, after the PSUV last week used an extraordinary session in the final days of its legislative majority to name 13 new judges and 21 substitute judges to the 32-member court. The opposition, which boycotted the session, condemned the move. On Wednesday, the nine opposition politicians targeted in the court challenge responded by filing a motion demanding the judges in the case recuse themselves because of their alleged ties to the PSUV. “We hold the president responsible for whatever happens if (the PSUV) continues with its plan to ignore the people’s will,” said Simon Calzadilla, one of the nine.